Ian White and Michael Smith have both just missed out on the big prize on the first weekend of UK Open qualifiers in Wigan. The Team Unicorn pair reached the semi-finals and final respectively of the first two UK Open qualifiers....and White hit a 9 darter on the way! 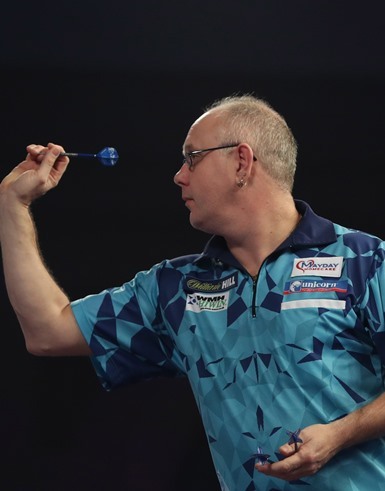 Both events were won by Michael van Gerwen, who notched up his 100th senior singles title in the PDC with his 6-3 win over Darren Webster in Saturday’s final. The World No.1 had beaten Unicorn’s Michael Smith 6-3 in Friday’s final. White lost 6-4 to Webster in the semi-final of Qualifier 2 but his moment of magic came in a brilliant last 16 win over Daryl Gurney. The Unicorn ace hit the 9 darter in the deciding leg to win it 6-5! On Saturday, James Wade and Unicorn new boy Jelle Klaasen reached the last 16 before losing to Mervyn King and Richard North respectively. Smith played superbly to reach Friday’s final. Van Gerwen had to be at his best to win it and clinched the victory with a 170 finish. 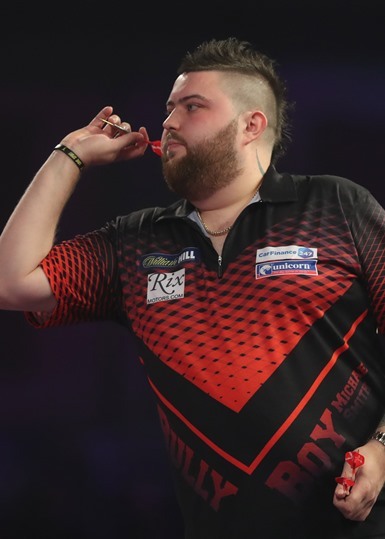 Smith had won an all Unicorn quarter-final 6-3 against Kyle Anderson with a 106 average and then came another excellent display to beat Peter Wright by the same score in the semi-finals. Team Unicorn’s Kim Huybrechts got through to the quarter-finals on Qualifier 1 but was edged out 6-4 by Wright.